New on the market and will not last! 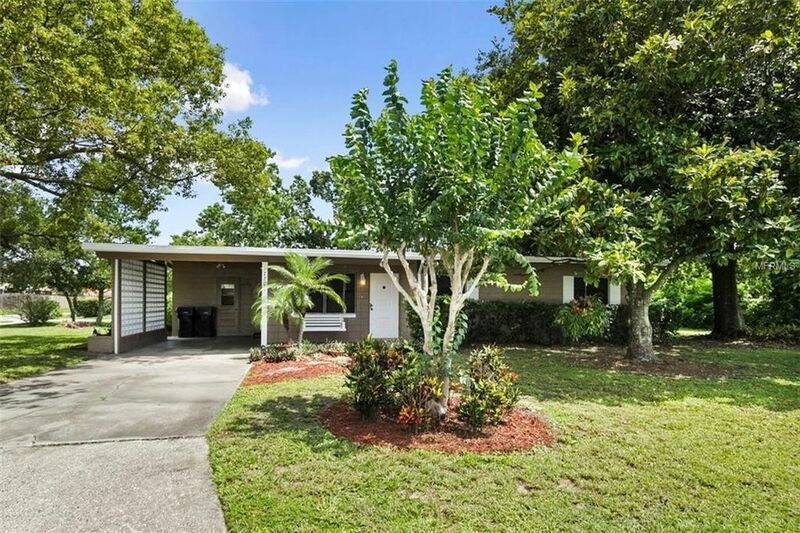 Charming one story bungalow-style 3 bedrooms home! Located on a beautiful corner lot in Tiffany Terrace. Great central location in Orlando to call home! This home features a carport, a shed, a large yard with an open patio for an outdoor summer gathering, beautiful trees, a covered front patio and fresh exterior paint (completed May 2018)! Many great features and details throughout including a walk-in closet in the master bedroom, tile counters in the lovely kitchen, chair railing in the dining area, volume ceiling in the living room, beautiful wood trim throughout, and a covered front patio that compliments the front elevation! Visit the virtual tour link. Directions: From East Colonial Dr go north on Forsyth Rd to right on Dominion.